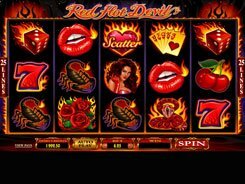 Red Hot Devil is a 5-reel video slot from Microgaming played over 25 fixed paylines. 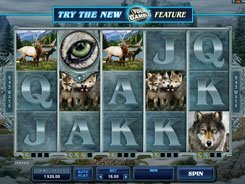 The slot features a wild symbol, a scatter, and three Bonus Choices loaded with huge cash prizes, wild reels and other amazing bonus extras. A coin size is adjusted from a penny to $0.25, with up to 10 coins placed per line. 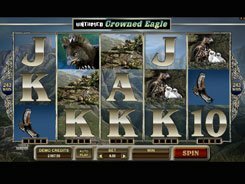 That means that the top stake per spin is $62.5. The symbols include roses, high playing cards, sevens, cherries, dice, scorpions, tridents and snakes – all outlined by fire flames. In addition to these symbols, the slot has a scatter depicted by the Red Ruby. 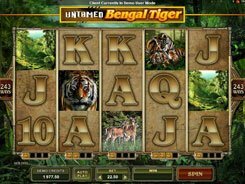 Three or more scatters unlock the Bonus Choice enabling players to select any one of the three bonus features. 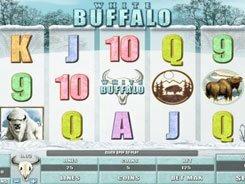 These are free spins with the Red Hot multiplier; the Wheel of Fire, and free spins with wild reels. 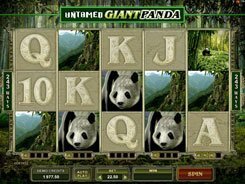 Whichever you choose, you stand the chance to win a stunning $105,000 on a max bet. The slot has a wild symbol represented by the Red Hot Devil logo. A wild substitutes for other non-feature symbols and appears on reels 2, 3 and 4 only.